While I was traveling all around Europe many interesting women's events have been played. The national championships in Georgia, Armenia and Romania have been finished during January. The women's tournament of the Moscow open was very strong, as well as women showed many great results in strong open and closed tournaments. Anna Muzychuk finished the Corus B tournament with a respectful 5,5 out of 13 in a very strong field. The final standings of the B-tournament can be seen here. 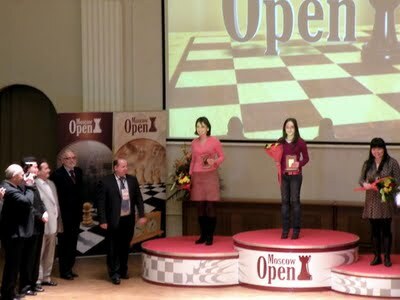 Salome Melia became the Georgian champion 2010 with a nice result - 10 out of 13, followed by Nino Khurtsidze (9,5 points) and Maia Lomineishvili (8,5 points). The final table can be seenhere. Anahit Kharatyan is the Armenian champion 2010. She took 6 points out of 9 and the clear first place. The full table is here. Elena-Luminita Cosma is the new Romanian champion 2010. 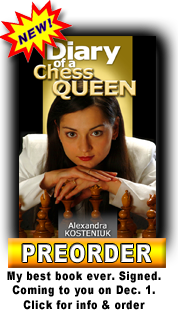 She shared the first place with 7 points out of 9 with Iozefina Paulet but was better on tie-breaks. The bronze medal with 6,5 points out of 9 won Cristina-Adelina Foisor. The final standings can be seen here. 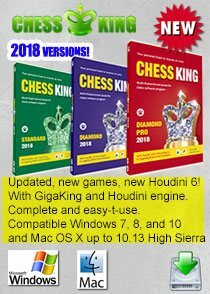 The game between Valentina Gunina and Anastasia Bodnaruk from the Russian Superfinal 2009 was voted among the best 10 games of December on the Russian web-site www.chesspro.ru . You might have already seen this game with my comments on one of the previous posts, here. Only the photo-finish was able to determine the winners of the exciting Moscow-open. Before the last round Zhao Xue was leading the event with 7 points out of 8 and was followed by 3 strong chess-players - Valentina Gunina, Salome Melia and Nazi Paikidze. Salome Melia with the white pieces was able to win against Zhao Xue, while Nazi Paikidze won also with white against Gunina. So Melia and Paikidze shared the first place with 7,5 out of 9 but the tie-break was better for Nazi Paikidze who became the winner of the Moscow-open 2010. The final table can be seen here. From February 9 to February 18, 2010 the very strong Aeroflot-open takes place. There are 5 ladies who decided to take part in the strongest A1 tournament: the Kosintseva's sisters, Hou Yifan, Lela Javakhishvili and Marie Sebag. After 3 rounds Nadezhda and Tatiana both have 2 points out of 3, winning in the first round and making 2 draws in the 2nd and 3rd round. From February 10 to February 18 in Bucarest, Romania a strong women's closed tournament takes place. The participants are: Beta Khotenashvili (Georgia, 2461), Maria Muzychuk (Ukraine, 2447), Cristina Foisor (Romania, 2440), Eva Repkova (Slovakia, 2434), Salome Melia (Georgia, 2431), Corina Peptan (Romania, 2411), Irina Turova (Russia, 2386), Anita Gara (Hungary, 2370), Szidonia Vajda (Hungary, 2369) and the new Romanian champion 2010 Elena-Luminita Cosma (2332). The official web-site is here. 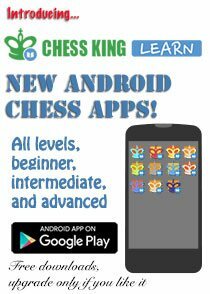 Even though we are right now in the middle of winter, chess battles are heating all around the world. Don't you think it's because chess should be named a winter olympic sport? ;) By the way,the Winter Olympic Games is starting tomorrow in Vancouver, Canada. What are your favorite winter sports (beside chess, of course) and what are the athletes and countries you will be routing for? Various people campaign to have their sport part of the Olympics. I think wingsuit flying recently became part of the winter Olympics due to pressure from that community. It's not impossible! I must be one of the few but I love curling. I think they are trucking in the snow, there is enough on the east coast to last them awhile. I will of course be cheering for the US but also Canada and Germany. 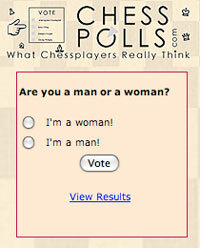 Thank you for posting this update on women's chess news. 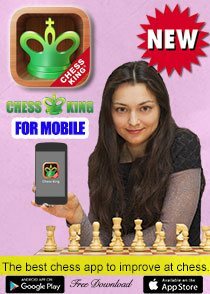 I have been following the career of IM Salome Melia since she played in the 2009 Montreal Open Chess Championship and earned the title of Female Champion of Montreal for her second place finish in the Open. 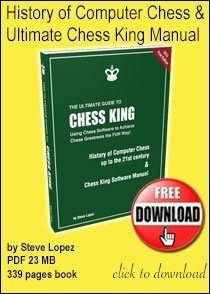 It was thanks to your assistance in posting a request at this chess blog that Melia got in touch with the organizers of the 2009 Montreal Open, who were looking for a WGM to come play in their event. She was the first WGM ever to play in the historical tournament and it was her first trip to North America. 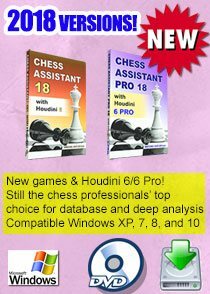 Goddesschess provided section prizes for female chessplayers and also provided financial assistance to arrange IM Melia's appearance. At present she is in first place in the Cotroceni 2010 invitational in Bucharest, after R4.